B-segment is an automobile classification term that describes cars between segments A and C. Although just two decades ago B-segment cars measured 3.75 meters long (12.3 feet), today they measure up to 4 meters (13.12 feet). Body styles include sedan and family/compact. Standard models mostly come with 1.0 liter or 2.0 liter, four-cylinder engines. 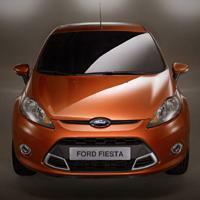 Some examples are: Ford Fiesta, Renault Clio, Fiat Punto, Opel Corsa, Volkswagen Polo...etc.